On Friday afternoon, Denny will have a free houseboat ride on Lake Jordan for convention attendees. More details will follow but for now here is a picture of Denny's houseboat. Space is limited to 40 persons. The time will likely be 2pm to 5pm (subject to change). Red Cup Social 6:00 - Until at yet named hotel. 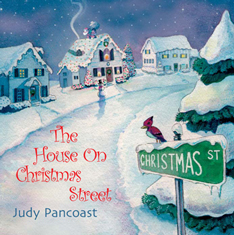 Special performance by special guest Judy Pancoast, performer of the song, "The House on Christmas Street". Swap Meet will be going on all day. So please bring anything you would like to trade or sale.